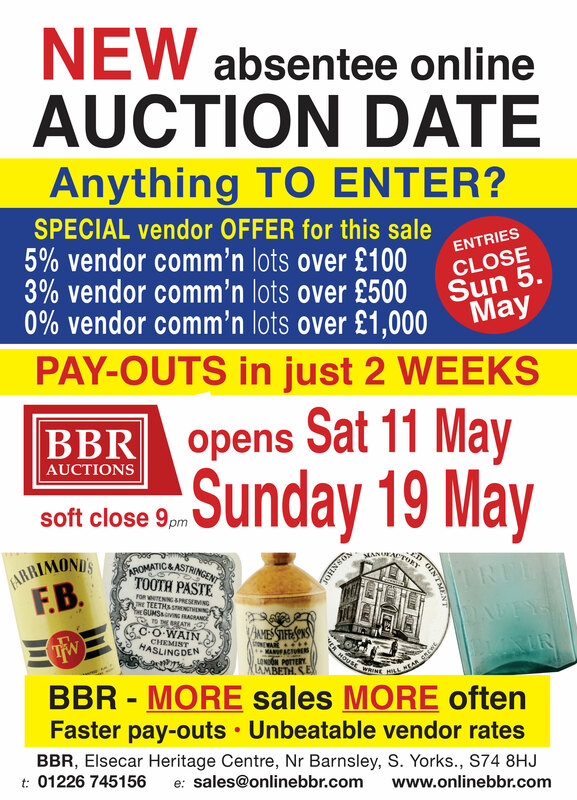 The following sales take place at our auction rooms, here in at The Elsecar Heritage Centre. 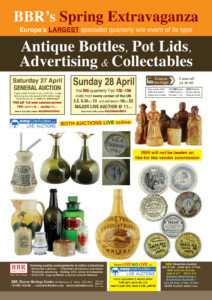 Viewing is typically between 10am to 4pm each week day the week before each sale. 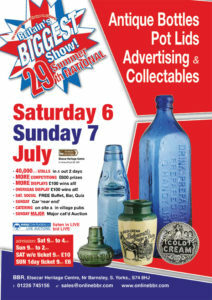 BBR brings the UK specialist Bottle, Pot Lid & Advertising market, & the entire world, together to the award winning Elsecar Heritage Centre & village. This item sold for £23,690 at a BBR auction. BBR’s unequalled low cost, all-inclusive, vendor rate, with FREE catalogue illustration for every Sunday lot, gives a guaranteed worldwide clientele, via unparalleled extensive advertising – Tried, Tested, Trusted! Fully illustrated catalogues, approx. 4 weeks prior, provide colour images & brief description, with estimate. Auction entries generally close 6 weeks before sales (earlier preferred), often full before. 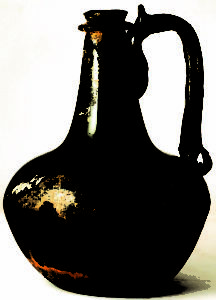 Anonymity if desired, though BBR does offer important Collections a chance to attach their name, & photo, if desired. Collectors value ‘provenance’ highly. 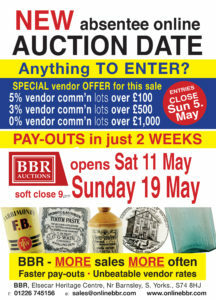 If you have an item, or entire collection, which you would be interested in BBR selling please telephone, or email, to discuss, or use the free service What is my bottle worth? 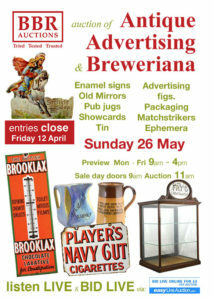 At Elsecar we host the 4 largest annual UK specialist collectors events. Call Alan Blakeman for confidential & knowledgeable sales advice.